Verify the factory's air is clean and dry. 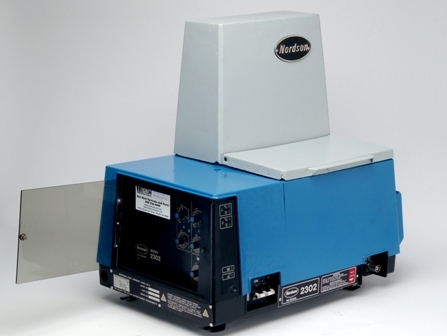 Verify the air supply is capable of providing a maximum of 6.2 Bar (90 psi) of non-lubricated air. Read the specifications on your specific adhesive and what is recommended. It is suggested that an isolation valve be installed in the factory air supply line immediately before the melter. 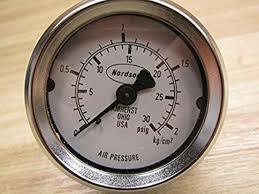 Minimum operating air pressure is 0.7 bar (10 psi). Operating at pressures lower than the minimum may cause the pump to malfunction. Still having issues, please call us. It doesn't matter whether you have a newfangled glue melter or and old dinosaur of a glue melter, proactive maintenance is key to long life and reduction in breakdowns. Do you change the oil in your car within OEM recommendations? You know what will eventually happen if you consistently provide poor maintenance to your automobile.....you have an expensive engine repair bill. A glue melter is no different. Periodically flushing the tank, changing the tank filter and inline filters is key to lengthening the life of a glue melter and also will reduce the amount of times the unit is unexpectedly down. Other ways to reduce clogging of nozzles is to verify the adhesive is stored in a clean protected environment, the glue tank is kept full and the temperature settings are within the recommended temperatures of the adhesive specifications. Some facilities use auto-feeders for the adhesive to reduce the amount of contaminants entering the glue tank. In addition, these provide a safer environment for the workers. All of these steps are quick and easy to incorporate. If your unit has too much build up of char, we can provide rebuild services to delay the purchase of an expensive new unit. Have questions or need assistance.... please call Keystone Industries.